At first I didn’t know I had anything, let alone three letters that could be associated with my symptoms and odd behavior. Could three innocuous letters really encapsulate all the crazy? OCD: Obsessive (check), Compulsive (check), Disorder (?). I’ve never been comfortable with this word, something about it makes me think “clutter,” as if all I have to do is tidy up my wayward thoughts but it’s not that simple. I prefer “Disease;” it adds gravitas to the taboo that is mental illness. OCD has always been with me. As long as I’m occupied and focused, the OCD is usually unable to gain a foothold. 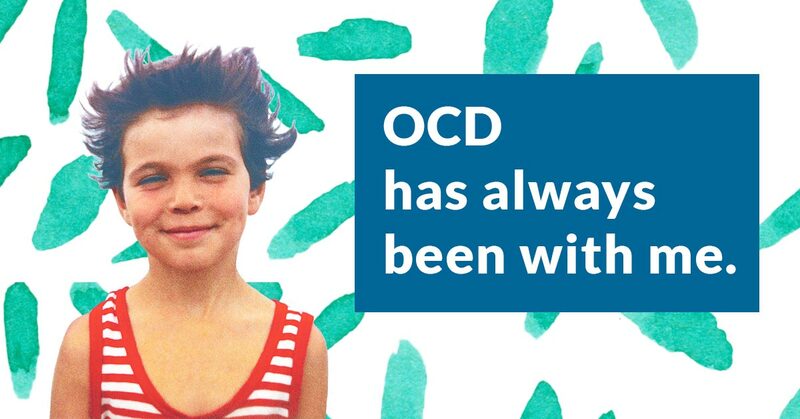 In my early twenties, I was busy studying for my degree and OCD was not a prominent disability. It never crippled my resolve to work or enjoy the irresponsible pleasures of student life. After my degree, I traveled around the world, roughing it in youth hostels with other impoverished backpackers. When I returned home, the wave of activity came to an abrupt end. I was 25, and a lack of financial stability meant I was anchored to the homestead. This resulted in a terrible fear of not being in control, and control is very often what a sufferer of mental illness most craves. At around this time my parents decided to introduce a dog into the family dynamic. I have always been an animal lover and, though I quickly bonded with the West Highland Terrier, OCD rituals insidiously set in. Quite quickly, the invented term “doggified” entered by vocabulary. After playing with the animal my clothes and I were “doggified.” This would mean a shower and a clean set of clothes. Unfortunately, like most OCD behavior, it spiraled out of control. If I was in clean clothes and the dog brushed past me with the most fleeting of touches I felt compelled to shower and change. As you can imagine, showers increased and, at one point, I was having six or seven a day. Out of the house I transferred my dog anxiety onto people, wiping myself down with wet-wipes (this is before the popularity of anti-bacterial hand gel) if someone brushed passed me on the street. The function of my existence had somehow been reduced to two roles; guardian against germs and cleaner of germs. OCD is not only time consuming it is also emotionally and physically exhausting. My girlfriend (now my wife) watched me struggle in the chasm of depression and she took the initiative to seek a consultation with a doctor on my behalf. With a suggested diagnosis of OCD, my girlfriend printed up a significant amount of relevant data and waited for the right moment to present her findings. It’s important to note that, at this stage, I was not aware of OCD. 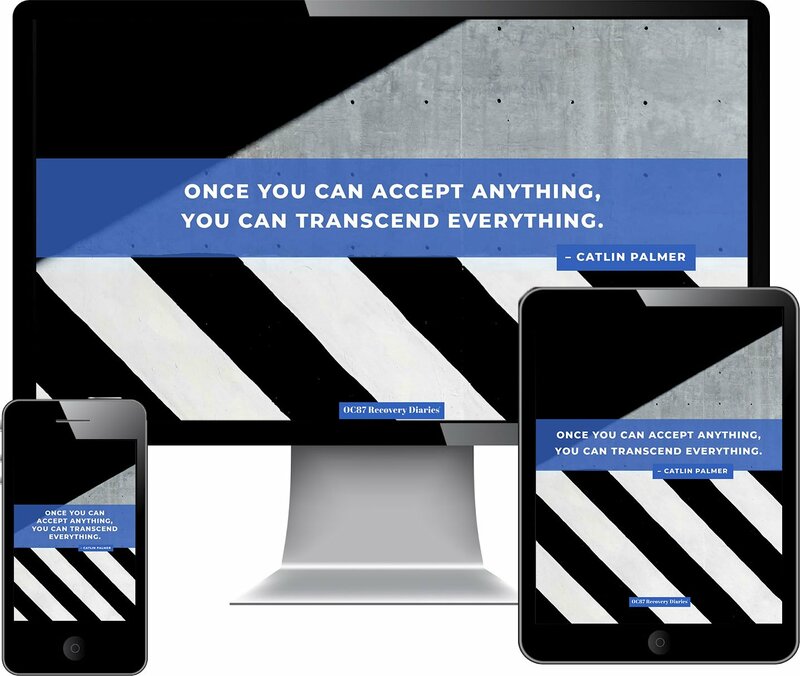 As I read through the articles I began to feel something, an emotion alien to me for the past six months– it wasn’t hope (far too robust) — it was recognition, because the articles were talking about me. Motivated, I saw the doctor myself and was referred to a specialist. In the interim I was prescribed medication. I have a ridiculous amount of blind faith in the healing power of pharmaceuticals, something I feel I should be ashamed of. It was explained the drugs only take the edge off; they do not cure or alleviate the manifestations of OCD. For that, I would be introduced to another acronym: CBT. For my personality and branch of OCD, Cognitive Behavioral Therapy is the perfect method with which to combat my compulsions. I would love to be able to list all of my compulsions, but the very act of wanting to write them down is in itself a compulsion, one I have learnt to identify and control. I remind myself what I could lose, and what I have lost, because one of the worst aspects of OCD is its iniquitous ability to steal time. I can’t retrieve the precious hours I’ve wasted in the servitude of inane rituals and neutralizing, but I can prevent it from happening again. There is a war that rages in the mind of OCD sufferers; on one side reason and rationality on the other the illogical and preposterous. I have a passion for reading, yet there was a time when my OCD in the form of intrusive thoughts prevented me from even looking at a book. If I came across a word such as “death” it would trigger a belief I was somehow inviting the imminent demise of a family member. To prevent this from happening I began reading the word backwards, as if the process would rewind the event or neutralize the threat. The reassurance that I had somehow restored equanimity to my universe was short-lived and soon I was reading the whole sentence backward, then the paragraph and finally the entire page. 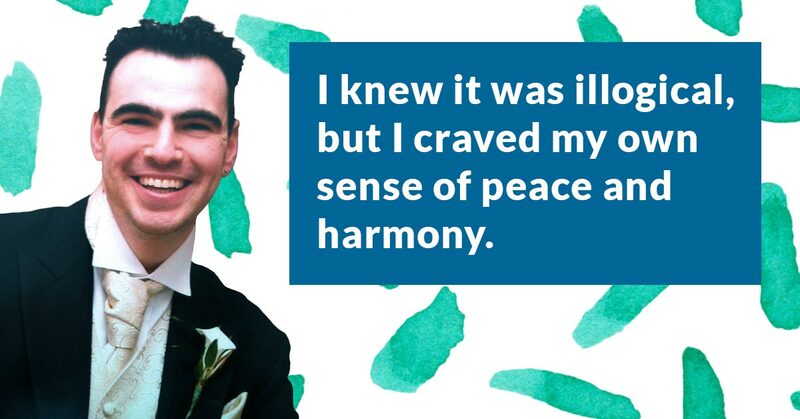 I knew it was illogical, but I craved my own sense of peace and harmony. Even typing “death” for this article has me itching to regress to a less restrained state but, at least now, I have the mental tools to combat this problem (between you and me, I have deleted the word several times and retyped it for no other reason than the gnawing compulsion – I’m not perfect but, compared to how I was, this demonstrates how far I’ve come). My greatest weapon is a rational mind and I use a series of questions to deconstruct the urge; why am I upset? I have an intrusive thought. What is a thought? A thought is a chemical process in my brain, that’s it, that’s all it is; neurons firing signals. I reduce meaning and emotion to a science. I have always been a private person and kept many of my OCD rituals hidden from friends and family. After I began to see a behavioral therapist I started letting people in, and one thing became apparent very quickly; silence was my enemy. 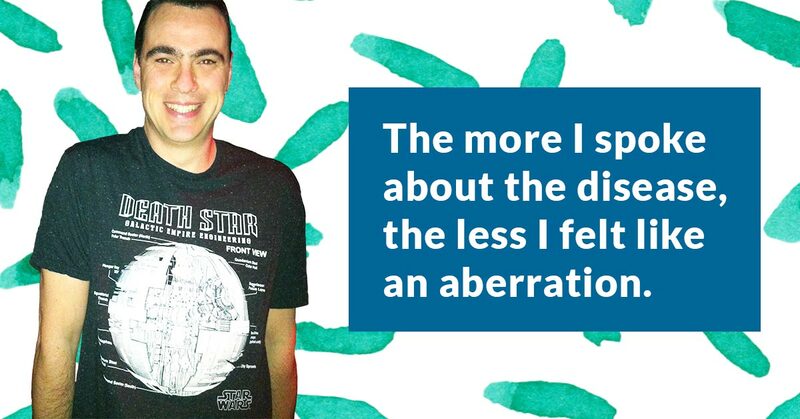 The more I spoke about the disease, the less I felt like an aberration. Silence nurtures a secret and, in my case, it elevated the status of the OCD to a position of power. People sympathized even if they didn’t understand and many, to my surprise, even empathized by revealing their own obsessive traits. While having obsessive traits is not full-fledged OCD, it shows how prone we all are to superstitions and rituals. Being in a relationship with an OCD sufferer can be a demoralizing and suffocating experience, as my wife can attest to. When we first started going out I hid all the little quirks and idiosyncrasies but over time these traits seep out. Most partners become unwitting enablers feeding and inadvertently encouraging the compulsions. No one wants to see their partner upset, and, if they can prevent stress by indulging in what appears to be an innocuous request, i.e. 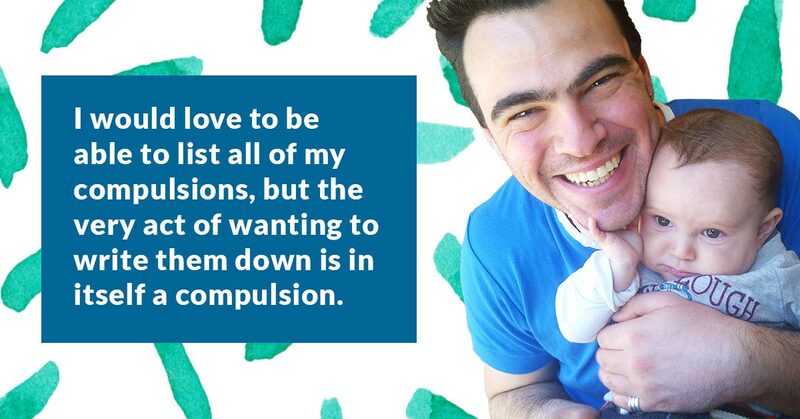 hand-washing, changing clothes, giving reassurance, then it seems like a fair appeal. At my request, my wife attended many of my CBT sessions where she not only gained insight but also discovered how to cope with the disease’s insidious nature. She learnt to stop giving me reassurance. For many OCD sufferers, reassurance is a necessity, but the seed of doubt germinates so quickly that it is never long before we are looking for our next hit. Instead of a cosseted reply, I am now affronted with “No Comment”. 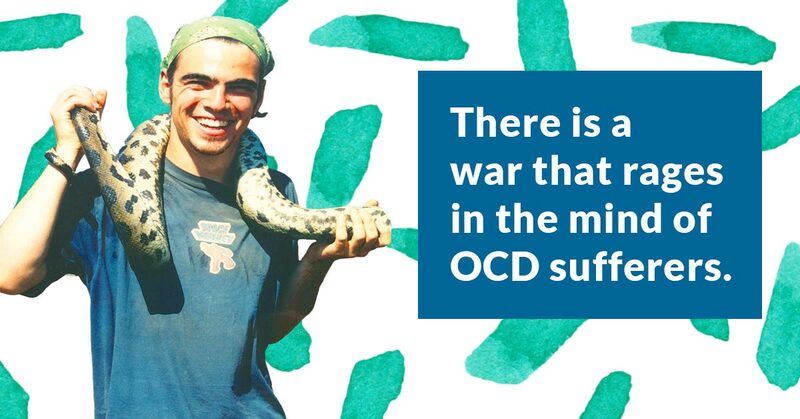 Not surprisingly, many relationships breakdown under the strain of OCD. The trick for partners to remember is to differentiate between the person and the disease. Be angry at the disease, despise it, loathe it but not the person, a task far harder to achieve in practice. Probably the most clichéd aspect of OCD revolves around germs and specifically the obsession with hand-washing. The essence of hygiene percolates through our society; we are taught to wash hands before preparing food, before meal times and after going to the toilet but for many it doesn’t end there; the illogical rears its ugly head and the urge to wash when it’s not necessary becomes unmanageable. CBT combats the irrational fear through direct exposure. My anxiety with germs led to a lot of CBT work. Public restrooms were my personal nightmare arenas filling me with dread and creating ludicrous, evasive behavior. I would use a tissue to open or close the door or if none were available I’d use my foot, with uncharacteristic dexterity, or if that proved too problematic, I’d simply wait for someone to enter or exit and swiftly follow in their wake hoping not to brush against the door on my way out. For me, public toilets meant only urination, never for anything else no matter the urgency of my bowels. The mere thought of sitting on a public toilet, locked in a cubicle beset on all sides by germ-infested partitions would cause me to break out in a palpitation sweat. When my CBT therapist suggested we visit the public restroom together for some much-needed exposure treatment I was about as jubilant as a claustrophobe who’d just been told he’s about to embark on an underground caving expedition. Exposure work such as this is usually performed at the beginning of a therapy session to allow the anxiety time to decrease, which invariably it does, and demonstrates that overcoming an obsessive compulsion is not just a possibility but also an obtainable goal. The public restroom located at the end of a corridor from the office is small with only two urinals, and two cubicles but would suffice for our needs. On my personal assessment level the restroom scores a mediocre 5. Imagine 10 consisting of marble countertops, ivory taps and a fragrant aroma while 1 will suffer the stench of stale urine and the smear of feces. My therapist runs the tips of his fingers along the cubicle door. I’m expected to mimic the action without submitting to my desperate need to wash my hands. There is an understanding that, after the session, when my anxiety has hopefully decreased and, if I am still so inclined, then I am permitted to wash my hands. It takes me several attempts. My fingers lingering millimeters from the surface before I am able to make contact. My therapist then uses the palm of his hand and rubs it all over the door, unfazed and nonchalant. My hand is clenched in a tight fist. Eventually, I relent and expose my hand to further contamination. In a display designed to desensitize me, my therapist licks his germ-infested fingers. I groan and shudder, swirling with nausea. He is not expecting me to copy; he is merely deconstructing the illogical fear. The final stage before we retreat back to the office is the hardest. He grabs the handle of the toilet door, the handle other men touch without washing their hands; it is the pinnacle of my disgust. Now it’s my turn. I just want to wash my hands, bathe them in soap and antibacterial gel. My fingers hover over the metal. “Come on” he coaxes, his sassy Irish accent keeping the mood jovial. The tips of my fingers brush the handle. “Harder” he booms “grab it, hold it.” I know it will help me in the long run so I place my palm on the metal. “Now close your fingers around it,” he says, shouting with excitement, “and yank it.” I grip and twist. “Feels good, doesn’t it?” He says with a wry smile. It’s time to go back to the office. We exit the restroom only to be met by an electrician rewiring a light fixture. His assumption of our lavatory activity redefines “exposure” work. Looking very uncomfortable he averts his eyes. We do our best to restrain the smiles but, by the time we reach the office, the laughter erupts. Since then, I have learnt the tools and techniques with which to deal with the many facets of my OCD, including being able to laugh at it once in a while.